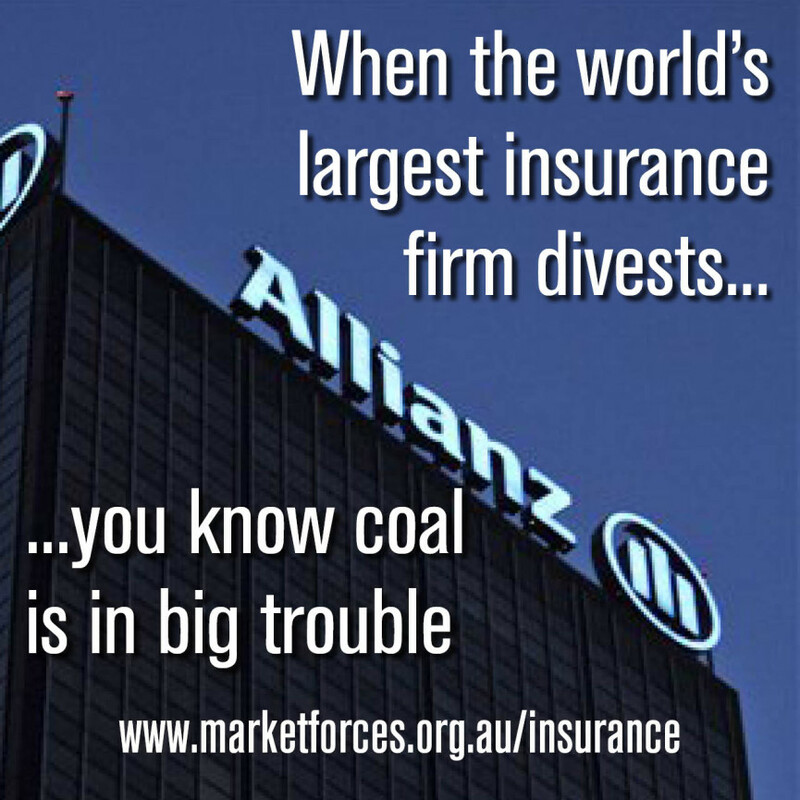 Allianz Investment Management, the money management arm of the largest insurer in the world, has committed to divesting coal from their portfolios. The firm manages in excess of EUR 600 billion of assets covering the liabilities of the insurer. In an interview with broadcaster ZDF, Chief Investment Officer Andreas Gruber, announced that the insurer would “no longer invest in mining companies and utilities that generate more than 30 per cent of their sales or energy creation from coal”. Allianz also committed to doubling investment in wind energy to EUR 4 billion in the years ahead. The divestment of equities, which could be worth up to EUR 4 billion, would take Allianz six months to implement. For fixed income exposures to coal, existing assets will be held to maturity. It is unclear if infrastructure assets will be subject to divestment, particularly coal terminals. Given this approach by the insurance arm, it will be interesting to see if a similar screen is applied throughout the broader Allianz Group, including Allianz Global Investors and PIMCO, which collectively manage in excess of EUR 1.3 trillion. The threshold of 30 per cent of revenue or energy creation from coal is equivalent to the screen applied by the Norwegian sovereign wealth fund in June this year. In effect, this will exclude pure play coal companies, while diversified miners like BHP Billiton and Glencore will remain. 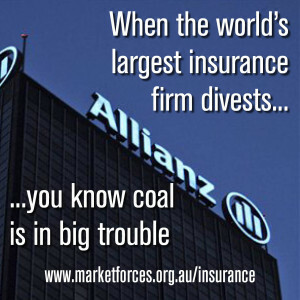 In its Australian portfolio, Allianz is expected to divest from coal miners Whitehaven Coal, New Hope Corp and Yancoal Australia. Given the dependence of their electricity generation on coal, it is likely Allianz will also dump AGL Energy and Origin Energy. The wording of the announcement suggests that transport companies like Asciano, Aurizon Holdings and Qube Holdings – all heavily involved in the coal industry – would remain in their portfolio. This announcement places further pressure on the Australian asset management industry to address climate risk in their portfolios. The large Australian general insurers have also yet to make a divestment announcement, but will be forced to take notice of Allianz’s plans. Noone wants to be without a seat when the music stops. Find out more about Market Forces’ work on insurance here.